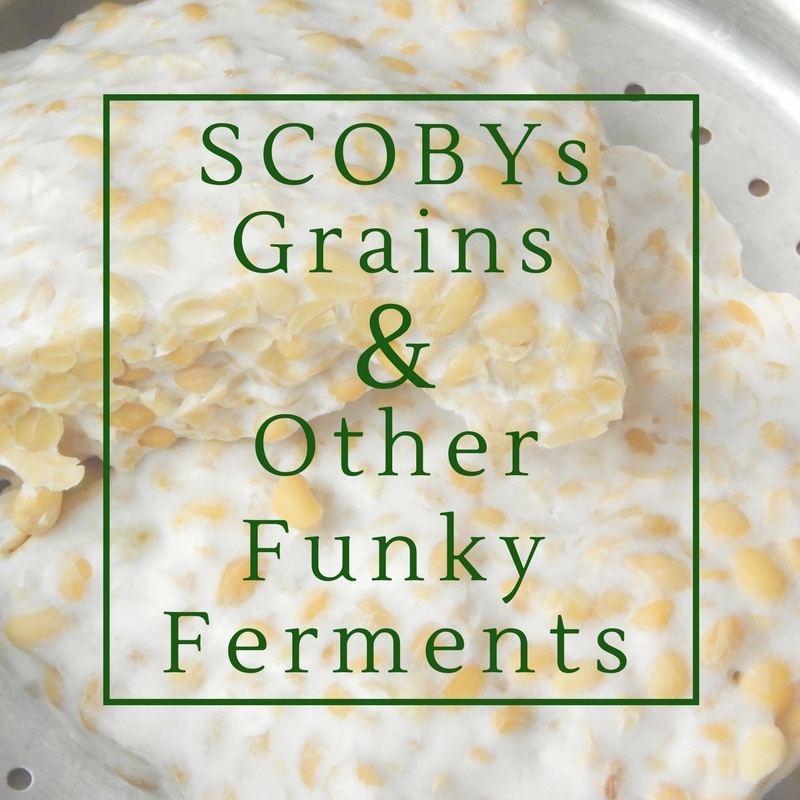 There are so many interesting and funky ways to make fermented food. 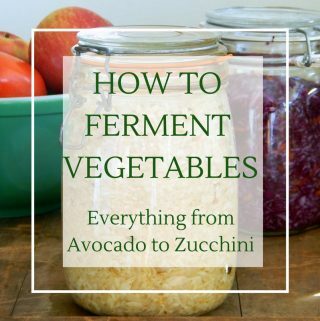 Here is an overview of all the different types of fermentation with links to recipes so you can try fermenting at home. It’s hard to say that any form of fermentation is simple. But there are certain types of fermentation that don’t require a special culture to make them at home. These are great recipes for fermentation newbies. Sourdough: Sourdough bread is made from a free-range culture of yeast and bacteria that is easily caught by leaving a mixture of flour and water out on your counter for a few days. Here’s how to make your own starter, or gluten-free starter. Dairy: Yogurt, sour cream and buttermilk are all made with different strains of lactic cultures. All you need to ferment dairy products at home is to start with a store-bought culture. It’s fun to experiment with different brands of yogurt. Vegetables: Most vegetables come in from the garden with their own lactic bacteria culture. 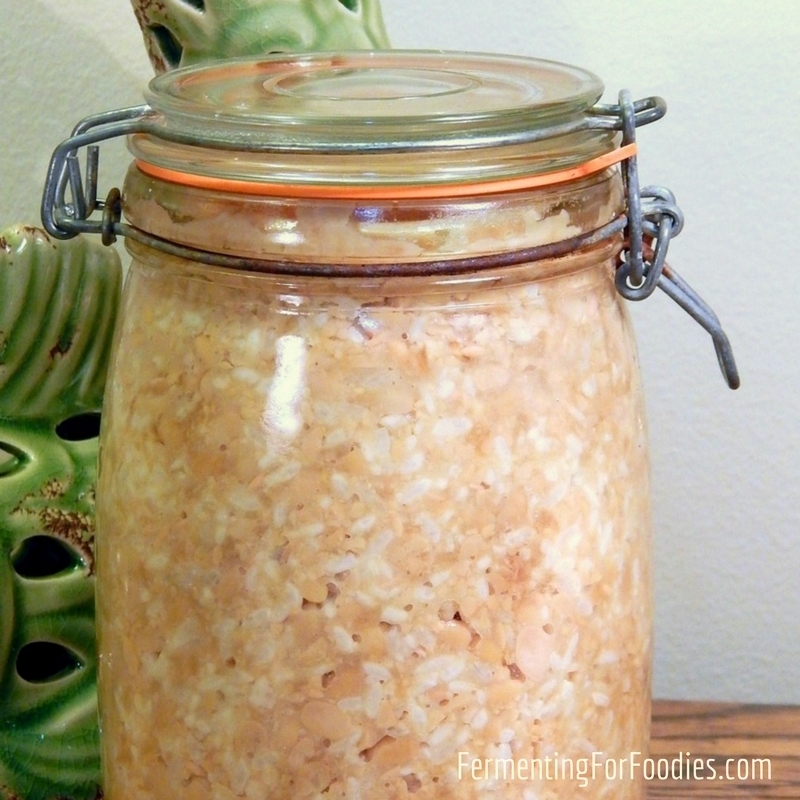 Try making sauerkraut, relish and pickles! Alcohol: Beer, wine, cider and other alcoholic ferments were all traditionally made with wild yeasts. Now days we use specific strains of yeast that are optimized for vigor and flavor. In my view, specialty cultures are any type of fermentation that requires a culture that isn’t widely available. You may be able to find these cultures at specialty stores or online. Check out my Resources Page for links to cultures available online. There are TONS and TONS of specialty cultures out there. Humans have been fermenting for a really long time and most countries and regions have developed some of their own unique forms of fermentation. So this list is not complete, but these are my FAVORITE types of specialty cultures. I make apple cider vinegar out of apple juice and apple scraps. Then I use my fermented cider vinegar as a culture to ferment other things like mustard. Koji kin is a mold that is used to ferment rice and barley. It is a culture that is at the heart of MANY Japanese ferments including: sake, amazake and miso. While I do admit that making homemade miso is not really for beginners, I do think a probiotic miso should be in every Fermentation Foodies’ fridge. Miso is so easy to add to soups and salads. And I like using it to culture hummus and other dips. Kombucha is made from a SCOBY (symbiotic colony of bacteria and yeasts) that thrives on brewed black tea and sugar. Here’s a basic guide for brewing kombucha and how to make some popular kombucha flavours. , which like kombucha, are made from symbiotic colony of bacteria and yeast. Again, homemade kefir is not the same as store bought kefir. Kefir is traditionally used as a drink, but it’s also great for smoothies or as a buttermilk substitute. It can even thicken so you can use it like yogurt. 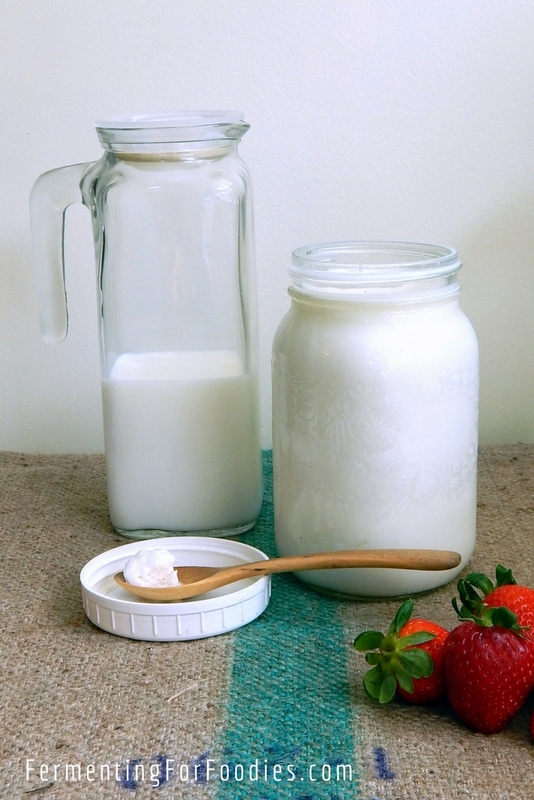 Milk kefir is great for pre-fermented baking. I also make kefir cheese and use the kefir whey to culture pretty much EVERYTHING. 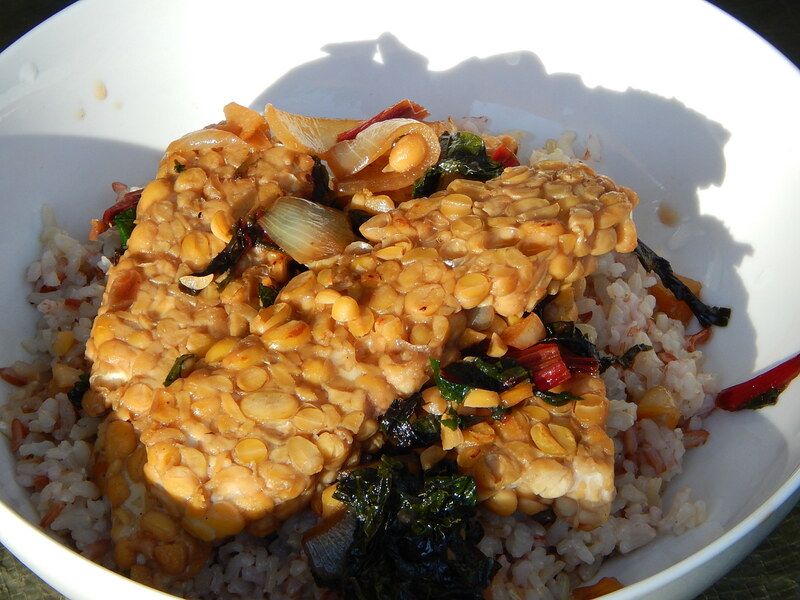 Tempeh is an Indonesian mold culture that is used to ferment soybeans until it forms a cake. It can also be used to ferment other high-protein grains and nuts. Homemade tempeh is deliciously creamy with a nutty flavour. It can be smoked, marinated or sauced which allows for all sorts of interesting flavour options. Water kefir is made with grains (another yeast and bacterial colony) that eat sucrose and molasses. 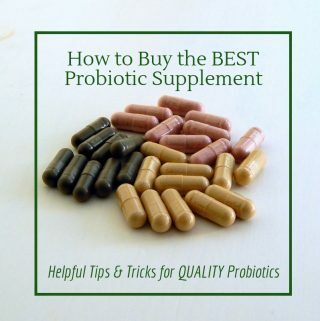 The result is a sparkling probiotic beverage, that is sweeter than kombucha, and perfectly refreshing on a hot summer’s day. 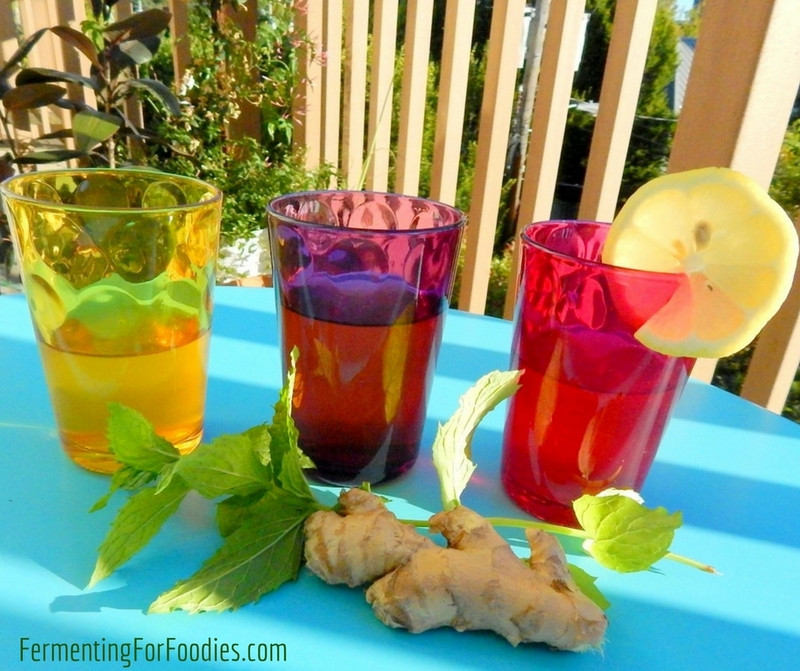 Here’s how to brew water kefir at home and some flavour suggestions. 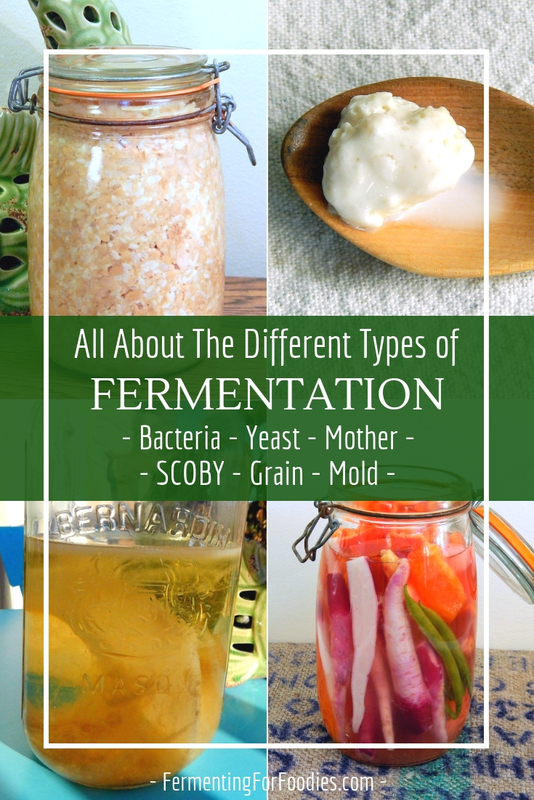 Thank you for such a comprehensive yet simple little encyclopedia of fermentation types! Your website is inspiring to me, a joyful beginning fermenter who’s presently in love with the ease of digestion and added flavor that comes from fermentation. Even my boyfriend who was raised on a pretty “white-foods” sugary diet enjoys my experiments. Thank you for hosting this blog and embracing your “crunchiness,” as you put it, so we can all confidently do so, too!